Well, we've just switched hosting provider and all seems to work pretty well at the moment. Our website uses HTTPS from now on so all traffic to and from our site should be better protected. And we also made some little graphical changes to the icons on our site. The product logo's are a bit updated just like our new company logo. The next few weeks we're going to enjoy a (we think well deserved) holiday and after that some new extensions will find your way through our website! What those are will take a bit more patience for our visitors - but it's worth waiting for! That's our promise to you! Changes can be good! We hope our users will enjoy UWiX even more in the future. 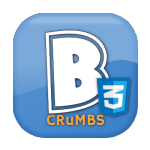 Today a fix is released for anyone who's having trouble installing the BreadCrumbs CSS module. In some cases it shows a blanc page upon installation with no error report whatsoever. This only occurs on servers using PHP version 7.x and depending on configuration settings. But, not to worry, this new release is fixed for that installation error. So our users can be "happy installers" again! We've made some minor changes to the latest release of the ExtUpNotification plugin. The plugin now sends it's e-mails in HTML format so better formatting of the Extension Update Overview table can be made ;-) It should now display properly in the notification e-mails. Als we've added the possibility to set the interval of sending an notification e-mail. Yes, this is also set in the Installer Updates Caching of the Extension Manager options, but you can override it by setting your own interval. That way you can be informed about Extension updates when you want to and still use a small interval for the Joomla! Notification plugin. You can update the ExtUpNotification plugin using the Extension manager in your website backend or download it here. Another free plugin has been released this week. 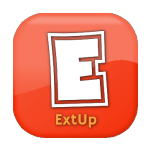 The ExtUpNotification plugin can be used to update you or any other Super User on your site about new Extension updates via e-mail. The plugin is based on the original Joomla!™ Update Notification plugin and is totally free for you to use for as long as you need it on any website you want. Enjoy it! After a lot of internal discussion we've decided the next release of our leading VirtueMart plugin "ReqText" will not be compatible for Joomla!™ 2.x and VirtueMart 2 anymore. The development of the ReqText plugin consumes a lot of time with only the testing of the plugin. 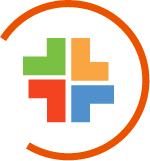 Since the support for Joomla!™ 2.5 has ended December 31, 2014 and the community recommends upgrading to Joomla!™ 3.x for a long time already, we've decided to stop supporting it for the ReqText plugin. That way we can decrease the plugin code, make it less bug sensitive, update the code better and safe upon 50% of testing time! We're working very hard to release ReqText version 1.6 for J!3 and VM3 soon with a few neat features like an adjustable color selector. And ofcourse we'll keep on releasing bug and security fixes for ReqText version 1.54 with full Joomla!™ 2.5 and VirtueMart 2 compatibility but the new feautures will only be integrated for ReqText version 1.6 and up (J!3 and VM3 only). 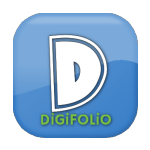 Since a few days you can download an updated version of our Digifolio component for Joomla! 3. It's a bugfix release which fixes issues with HTML formatting in your project description and when using the CSS editor. Not a big release with new features but we do recommend updating your Digifolio component to see a big difference in your projects layout! You can download it from our download page or use your Joomla! Extension update procedure to install it instantly. We've released a new version of our ReqText VirtueMart plugin today. It's a bugfix release which fixes some issues on with the "hidden price" feauture and made some PHP 7 compatible changes. 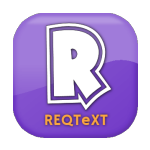 Not a big release with all new features but we do recommend updating your ReqText plugin. It will keep your site nice and up to date! You can download it from our download page or use your Joomla! Exteions update procedure if you've have a active subscription license.